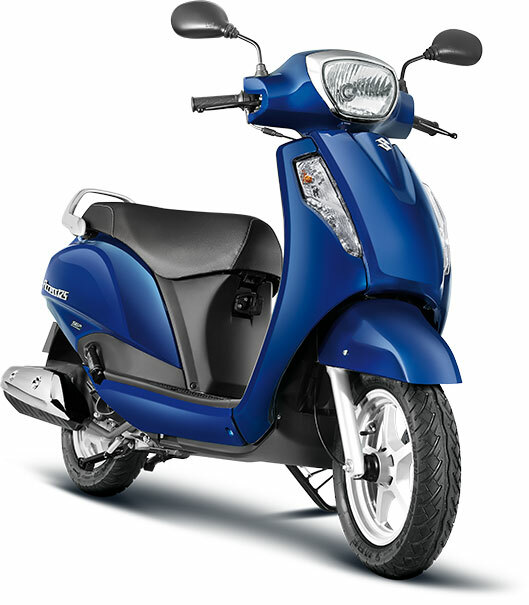 Suzuki 2 Wheelers has launched the new Suzuki Access 125 with Combined Brake System (CBS) at a price tag of INR 59,000 (ex-showroom, New Delhi) in the country. In addition to this Suzuki has also introduced a Special Edition of Access 125 in Metallic Sonic Silver color with Beige Coloured Leatherette seat at a price of Rs 60,580 (Ex-showroom New Delhi). Other than Metallic Sonic Silver, Access 125 Special Edition will be available in existing colours – Metallic Matte Black and Pearl Mirage White. The Access 125 has been one of the best-performing scooters not only in its segment, but is also a pioneer in the industry. It offers a blend of power, economy and premium appeal. The new CBS update on the Access 125 further improves the value proposition. Suzuki is committed to improving and innovating its products to offer best quality products to our customers. We are confident that with the new enhancements, we will be able to add many more customers to the Suzuki family. The all new Access 125 CBS automatic scooter is offered with a long and relaxed seat, enlarged floorboard, large under seat storage, a convenient front pocket, optional DC socket and dual convenient utility hooks. Talking about the new Access Special Edition, the scooter comes with the special black-coloured alloy-wheels & grab rail and a special round shaped chrome mirrors. Special Edition logo emblem lends the Access 125 a further unique identity. Both these scooters are powered by the cutting-edge SEP technology, while the CBS on the new Access 125 enables operation of both brakes from the left brake lever, helping in maintaining a good balance between front and rear brake forces.